This is now the first thing people see when they go to your Facebook page. You can no longer set a different page to be the default landing tab of your page (although these tabs still exist, more on them in #5 below). This is probably the only big downfall of the switch to Timeline, but it’s better for those of us who don’t have the time or resources to create something cool and custom for that tab because our images can speak for us more. WARNING! 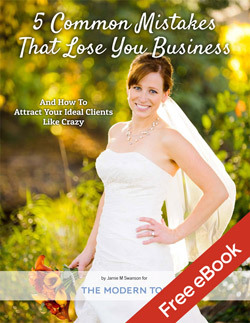 Read these rules about cover images! Facebook has created very strict rules as to what you can and cannot put on your cover image. The basic guideline is that you can’t put anything on it that you’d put in your about page. The specifics can be read about in their guidelines. No website url or any contact information at all, no calls to action (so no arrows asking people to like your page, no text telling them to visit your website, etc), and no blatant advertising. You CAN show your logo, however. 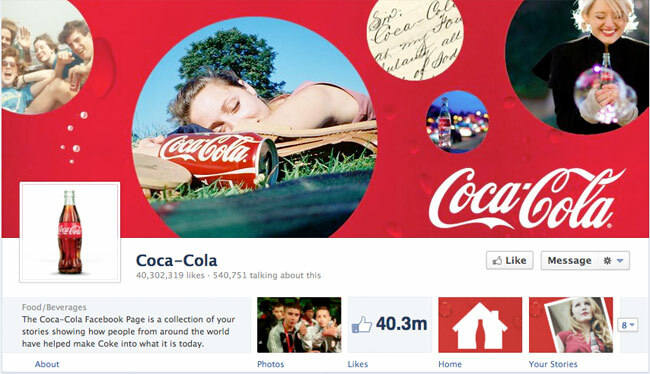 I think Coca Cola does a great job with being creative, showing their brand, and creating a feeling of community. You can download a free Facebook Timeline Cover template for photoshop by clicking right here: Facebook-Timeline-Cover-Image.psd (You may need to right-click and “save as” or “save target as”). Make sure to delete the overlay layer showing you where the small profile image sits on it and all the info is written before saving. No idea if this works with elements or not, so if it doesn’t, sorry! The profile image sits on top of the cover image on the bottom left. It actually covers up more of the cover photo when viewed on small mobile devices like the iPhone, so don’t make your design dependent on it not moving at all. The profile image is 126 x 126 pixels as a thumbnail, but I suggest using a photo that is 720 x 720 pixels as then people can see the big image if they click on it. As long as you keep your image square, it will completely fill the square as a thumbnail. This is what will show when people link to your page or like your page, so you’ll want it to be something that catches the eye. I chose to put my logo in there for our wedding photography business. 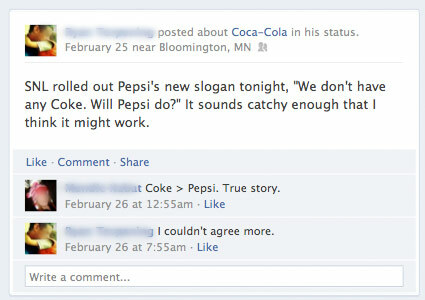 I also show a few different examples of how people have used this creatively at the end of the post. You can download a free Facebook Timeline Profile Image template for photoshop by clicking right here: Facebook-Timeline-Profile-Image.psd (You may need to right-click and “save as” or “save target as”). Again, make sure to delete the overlay layer showing you where image overlaps the cover image and all the info is written before saving. No idea if this works with elements or not, so if it doesn’t, sorry! There’s a range of different things that go here depending on your page. I wanted to type out a description and link to my site here, and I keep getting questions about how to do it, so here’s the step-by-step answer! You can also select “Photographer” from the Sub-Categories right below there, and then instead of seeing “Small Business” on the first line of the front page, it’ll say “Photographer”. You can visit my page if you want to see it in action. Make sure to save your changes at the bottom of the screen after doing this! Changes may take a few minutes to show up. Now, anything you put in the “About” line of your information will show up on the front, including links. Pretty sweet. People can use this to send messages to your page directly instead of to you as a person. While this is awesome, and I love it, you aren’t currently notified when you get messages unless you check your page, so be VERY careful not to miss a message! If you’re afraid you won’t remember to check it, you can turn it off. Just go to Manage then Edit Page and then deselect the Show Message button. This is where your former custom tabs show up if you had any. Photos will always go first, but otherwise if you have more than 3 or 4 you can arrange the order in which they show up. The biggest loss here is that you can’t set one of these to be the default landing page anymore, so it’s not going to be as powerful as it once was. Boo. 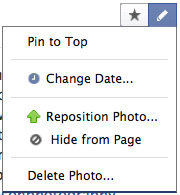 Select “Pin to Top” and the post will pin to the top of your Timeline in the left-hand column. This can stay pinned for up to 7 days, so it’s not a permanent pin like I originally thought it would be, but it’s something that you can continue to use throughout time. The other handy thing to note in this menu is that you can change how the picture is positioned (or cropped from view) if you do not like the default position. Kind of a handy little feature for those of us who are visually creative. Just click the button, drag the photo around, and save. No zooming in and out, but at least it is something! If there’s something you want to broadcast to your followers that you don’t want cluttering up your timeline for everyone to see, you can select to “Hide” it as well. I honestly see no reason to do this at all, but I want as much engagement as I can get so I want it all out there. This is by far one of the things I’m most excited about as far as all the changes go. This section will look different for everyone who visits, although it will all be formatted the same. 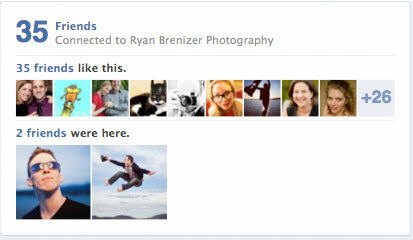 First it tells you how many of your friends like this page (and how many have checked in, if you have that enabled). When people see that their friends like a page and have written comments on it right there in front of them, they’re more likely to engage and like it as well. Super powerful. Want to have a post stretch all the way across both columns of your Timeline? Click the little star in the top right side of your post. Voila! Big image, same size as the cover. While I wouldn’t do that for every post, it is nice to do something like that for occasional posts that have more importance. I plan to do it each time I post a wedding, and then gift that cover image to my couples along with their digital images. Remember, you can re-adjust the crop by clicking the pencil icon, which is super helpful when it crops to such a narrow size. These are very similar to the highlight stories, but they seem to get even a bit more attention than highlights. You have to call it a milestone when you create it, which you can see right above the box where you create your status. Interestingly enough, the size of the Milestone photo is different from the canvas image. 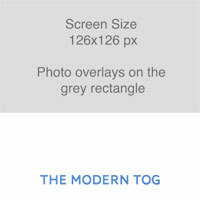 It’s 843 x 403 pixels, so just slightly narrower and significantly taller. 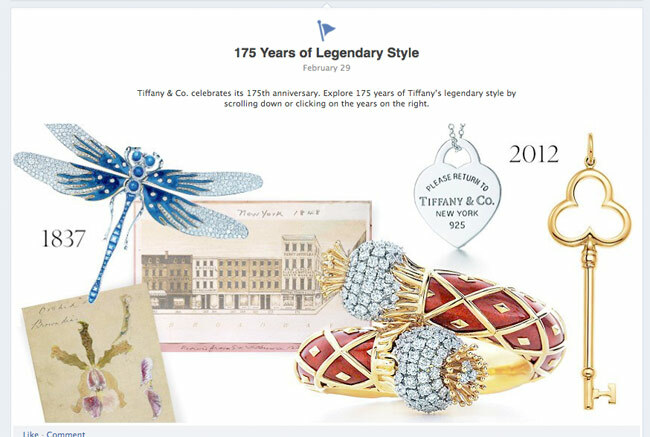 Tiffany did a great job of using a Milestone, and using a white background made it look like it is larger than it is. Really beautiful. 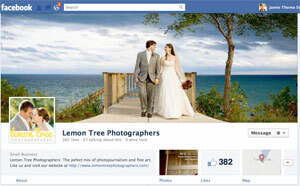 In fact, visit their page and feast your eyes on their big beautiful photos in their timeline. Go ahead, this post will be here when you’re ready for it again. This is where you see your notifications & messages. It’s pretty self-explanatory. You’ll get notifications to the left of your Facebook newsfeed for anything that shows up in the notifications column, but NOT for the messages. This actually shows you the first few lines of each of the messages, but you don’t have any way of knowing when you get one unless someone sends it. I’m hoping Facebook changes this soon. This shows you your most current likes and a generic graph of talking about this, reach, and posts. So you’ll see a dot each time you post (which changes in size based on how often you post daily), you’ll see reach which is how many people see it (so friends of friends or things like that) and then talking about this is when people engage with your content or talk about it in a way that can be tied back to your page (like in the Coke vs Coca Cola example above). You can click through to see more Insights, but I’m not going to go into them now as that’s a whole different post in and of itself. BONUS! The extra little stuff you can do to rock your Facebook page! Here’s a few extra little tips to help make your page amazing and get more people engaged & hiring you. Right now when other people post on your Timeline, it shows up as a small post right under where you see your friend activity. It’s not given much fanfare, so if someone writes something really amazing, it gets a bit lost there. This is unfortunate. Thankfully, by going into your Activity Log (click Manage, then Use Activity Log) you can see every action that’s happened by you or others in regards to your page, and you can hide certain posts, leave them as they are, or highlight them to give them more importance. You can do this to both your posts and to the posts others have made on your timeline. You can even filter them to only show posts by others, so you can easily look through which ones you’d like to highlight. Instead of just adding a link to your blog posts, upload one of the photos from the post and then link to the post in the description. Not only will it be more eye-catching, but photos are given more weight in the newsfeed than links, so more people are likely to see it. Here’s a few cover images that I absolutely love. To get the transparent look, use the templates I provide and make sure that the profile image (which is not actually transparent) has the appropriate part of the image insterted into it where it should go. What do you think of timeline for pages? Leave a comment below or on our Facebook Page! If you thought this was helpful, sign up to receive more awesome content & inside information via email.